It is abundantly clear: The Peterborough Petes are no longer the must watch team they were in their heyday. The crowds are sparse and quiet; the players give it their all but the product on the ice isn't up to par; it's no longer a coveted thing to play for the Petes (look at the number of players who have asked to be traded in recent years); it's no longer a "hot" ticket to go to a game; the Petes experience is not the entertainment spectacle or buzz factor it should be; and the Board and coaching staff have not developed a clear vision or strategy for how to get the franchise back on track. Local boy and WIND Mobile co-founder Mike O'Connor came forward earlier this year with an offer to buy the Petes as part of a group called NorthLight Entertainment. He articulated a clear vision to bring them into the 21st century as far as marketing and business savvy and social media and such—and has talked about possibly even building an arena downtown someday, something he reiterated on KRUZ FM earlier this week. And Mike still wants the team, he told us such. There's no question the Petes fanbase is aging and is in effect dying off—it's not like the Lakers fanbase which has a wide demographic and is attracting youth with its "cool" factor including the entertainment and product on the field, not to mention that most of their games sellout. The status quo isn't working for the Petes. For people to pay their hard earned money to go to a game and buy tickets, use the concession stands and buy Petes merchandise, they have to know it's going to a team with a clear vision and that wants to win over anything else. Would-be Petes fans have a lot of other choices for how to spend their time and their money, so they have to know it will be an "experience" to go to a Petes game, whether it's a date night or bringing the kids or going with buddies. Now sports reporter Mike Davies from The Examiner reports that the Peterborough Petes board of directors will be making new, crucial additions to their board, as several have stepped down. Petes president Jim Devlin says at least two vacancies will be filled, and that they are looking for candidates , "younger guys", with a hockey background and expertise in business and finance—and the deadline for applicants to submit resumes is December 15th. Those positions are key to determining the future of the Petes, a once storied franchise. But are those additions enough? The Board and the organization has to admit that what they're doing now isn't working. Not even close. Tweaking the organization isn't sufficient. 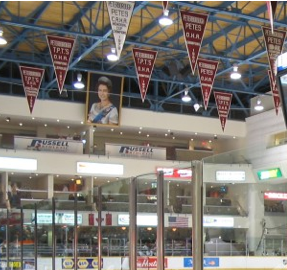 A radical new vision and marketing strategy—an overhaul—is needed to save the Petes, and right the ship. And be a competitive team again where players want to play for them and fans want to watch.